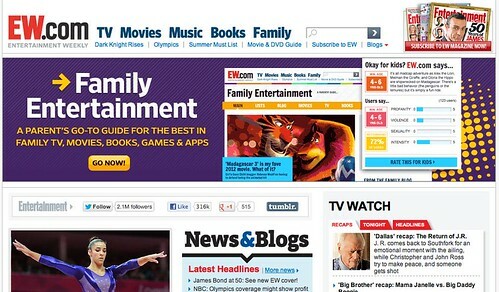 As a fan and subscriber of Entertainment Weekly and EW.com, I'm super excited to be joining the team at EW as a frequent contributor to their new Family Entertainment section where I'll be writing about (you guessed it) family entertainment. My first post (about my love of Madagascar 3) is up and live with much more to come. Stay tuned! I'm pumped! Go team! Eat Well: Beware ye' vampires!